A place to reflect and enjoy all things that flower! Chanel has used the camellia as its signature flower since its inception. A purveyor of high style like no other... the camellia embodies couture. Timeless. Elegant. Refined. Descanso Gardens has the most AMAZING camellia gardens at this time of year. With old growth shrubs that tower up to 30 ft under a canopy of arching California oaks. So Breathtaking. You must go there to see this yourself! And what is so marvelous about this little big bloom is it's many varied forms. Some are open faced, some are doubled up with ruffles, some wrap around themselves is soft concentric circles, some are varigated, and all of them are exceptional. So, Alice and I decided to walk the neighborhood to form a little collection to pretty up the house. Just for us! She was a fantastic little helper! 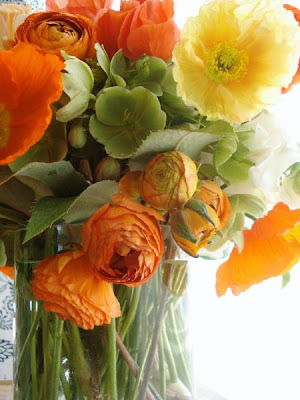 To make a simple arrangement for yourself snip a few blooms, leaving 5 to 8 inches of stem, cut the stem a few times upward to allow these woody flowers to drink, and drop loosely into a small vintage juice glass or pitcher. Then meditate on beauty. My high school English teacher, Mrs. Kelly, would say to start out with a captivating sentence. Something that grabs the reader and kind of lingers on the taste buds for all their senses to grab. I have less poetic style than I might have had then, at 16, when life was a sort of simple and carefree buzzing dream; but I do know that as we speak there are seeds of change sprouting everywhere, ice castles melting, babies snoozing and dreaming big dreams, and lots of music yet to be laid out for all to hear. Not to mention FLOWERS!!!!!! And we will be taking a trip on this little blog to explore the fanciful, wonderfulness that are flowers. What better subject that the most sensual, openly evocative of Mother Nature's creations.... Today I feel like nodding my cap to a lovely little ruffle of a fleur. The poppy. In all it's magnificence. Thank god for spell check! What can I say...obviously I love love love flowers; and this is a great place for me to share everything we do here at Flowerwild with the world at large. Our company is a small family run business located in Los Angeles. 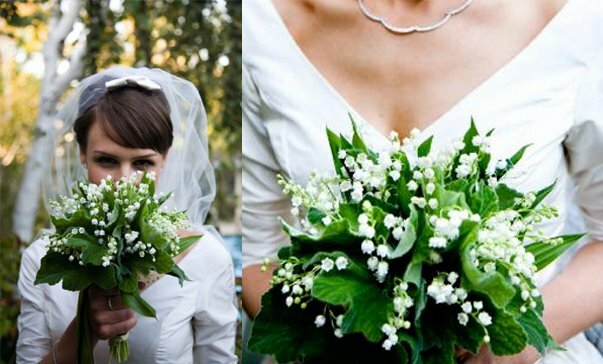 We travel throughout California servicing luxury weddings and events with exceptional flowers and enjoy every minute of it. In the words of my parents it is so important to..."Follow your Bliss."